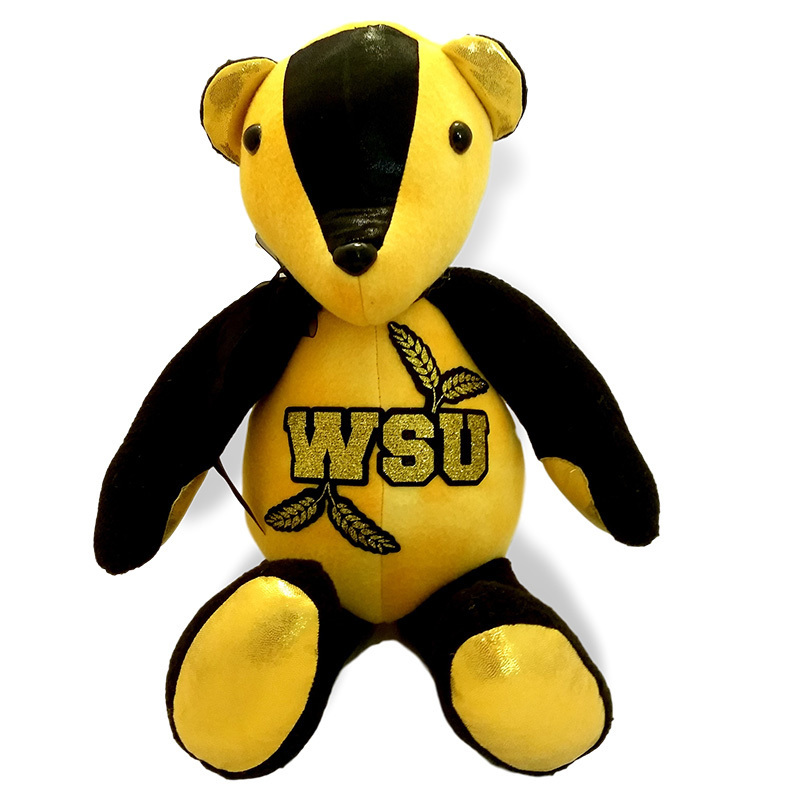 Bear is made of soft fleece with shiny fabric highlights. The school initials or name is featured on the belly (logos not possible due to licensing). Add a bow or beanie! Complete the information requested (college name / state) and we follow up via email to confirm colors and additional info.